With growth of Europe's offshore sector slower than first hoped when MHI Vestas launched in 2014, the company is looking east and west for new markets, as the V164 improvements continue. "We see a market in Europe which is strong enough to fulfil our expectations, and our business case. 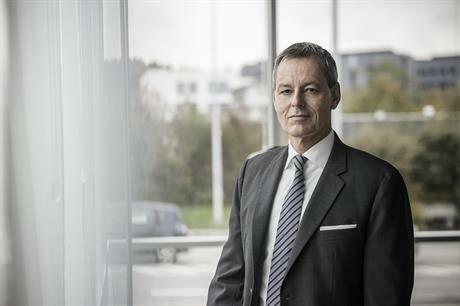 Of course we would like to see a stronger market with faster growth but we also see that's dependent on the cost of energy," Tommerup said at the start of April, the second anniversary of MHI Vestas. "If we take Asia, we divide it in two; China is a story for itself, then the rest of Asia," he said. "When we are talking to clients in Asia, we talk about actual projects — Asia will come." China's offshore sector — largely dominated by Chinese firms — has 808MW offshore wind capacity, minimal compared to the country's 146GW of onshore wind. But MHI Vestas is in talks with clients there. "We are talking with clients and the whole supply chain but for us right now, China is a little bit more 'wait and see' until we have more clarity about the business model," Tommerup said. The company is eyeing the activity to the west and the fledgling US offshore market — with a view to entering the market alongside other European players. As yet, the US has no operating offshore capacity, and only a demonstration project under construction off the coast of northeast US — the 30MW Block Island site. However, the potential pipeline is growing. Nine commercial offshore wind leases have been auctioned by the Bureau of Ocean Energy Management: two off Rhode Island, two off Massachusetts, two off Maryland, one off Virginia and two in New Jersey. The US is interesting, says Tommerup. "But there's still some time until we have a more specific announcement." One entry option into the US would be for the manufacturer to partner with Danish compatriot Dong Energy, which has stakes in offshore zones in Massachusetts and New Jersey. Dong acquired the zones from RES Americas, which won the competitive tenders held to lease the zones. Following European expertise to the US is something MHI Vestas has long planned. "We have always said we would go to the US together with an experienced player. That was something that was in our strategy from two years ago and that is still our belief," Tommerup explained. "We will go with the strong European players to the US. If it's going to be Dong or somebody else, let's see. But utilising experience from Europe is simple, because if we do it, we're going to do it right." MHI Vestas has been constantly developing the 8MW V164 turbine ahead of its first commercial deployment later this year at Dong's 258MW Burbo Bank Extension in the Irish sea. Currently there are three onshore test machines: one in at the national test centre in Osterild, Denmark; and two at Maade installed for developer European Energy but used by MHI Vestas to perfect its installation and operation methods. "All of our people have been coordinating what is actually in all our manuals: what are we doing in practice, how do we lift, how do we install the blades? Everything has been aligned with offshore procedures," Tommerup explained. Beyond the Burbo Bank Extension project, MHI Vestas is supplying the V164 to part of Dong's Walney Extension project, also in the Irish Sea. By the time the V164 is installed there, each turbine will be able to produce 8.25MW. "I see one very strong platform that has plenty of potential for upgrading," said Tommerup. "The 8MW turbine will improve because we have already started to improve the technology platform," he added. "We see the 8MW in an updated version being competitive quite some years ahead."